Congratulations to Mark Villiers, the winner of Cara Constructions Health and Safety Award for March. Mark has been presented with gift vouchers to the value of £50. 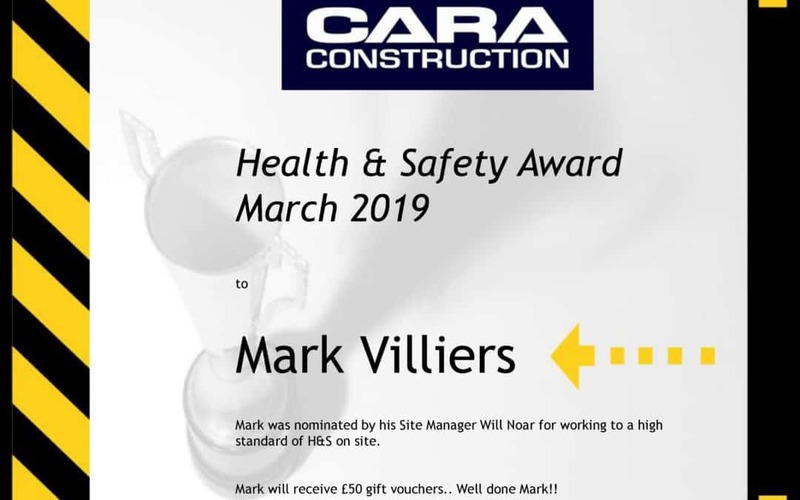 Nominated by Project Manager, Will Noar, Mark has been recognised for working to a high level of safety on the Time Square project in Warrington that Cara Construction are currently delivering for main contractor, Vinci.